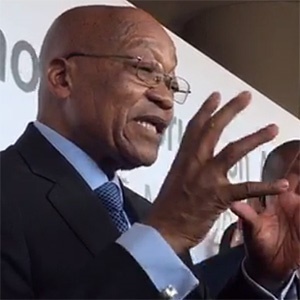 Cape Town - Former Eskom chairperson Zola Tsotsi has dropped a bombshell at the Eskom Inquiry, saying that former South African Airways chair Dudu Myeni had called him to request his availability to meet President Jacob Zuma in Durban. According to Tsotsi, he was met by Myeni on March 7, 2015 at the Durban Presidential residence. Here, he met Myeni, her son Talent and, Nick Lennell, who was introduced as a lawyer. She told him that Eskom CE Tsediso Matona and executives Dan Marokane and Matshela Koko were to be suspended, he said at the inquiry into state capture on Wednesday. “I found this matter altogether shocking and proceeded to question the need for suspending these executives as I saw this as a recipe for inducing instability in the company,” he charged. Ben Ngubane later told Tsotsi that former Eskom finance director Tsholofelo Molefe had to be added to the list, he said. Lennell – who Myeni told Tsotsi had helped her with this at SAA – then helped draft the suspension letters, he said.